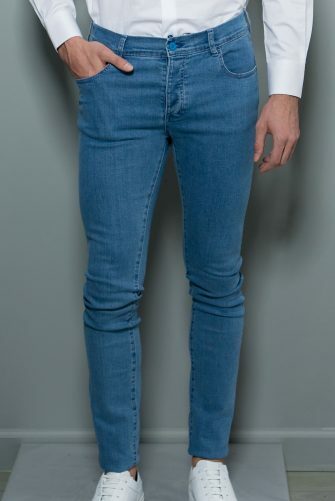 The fit of these jeans allow for an elevated look. Can be worn with anything from tuxedo blazer to a tee shirt. 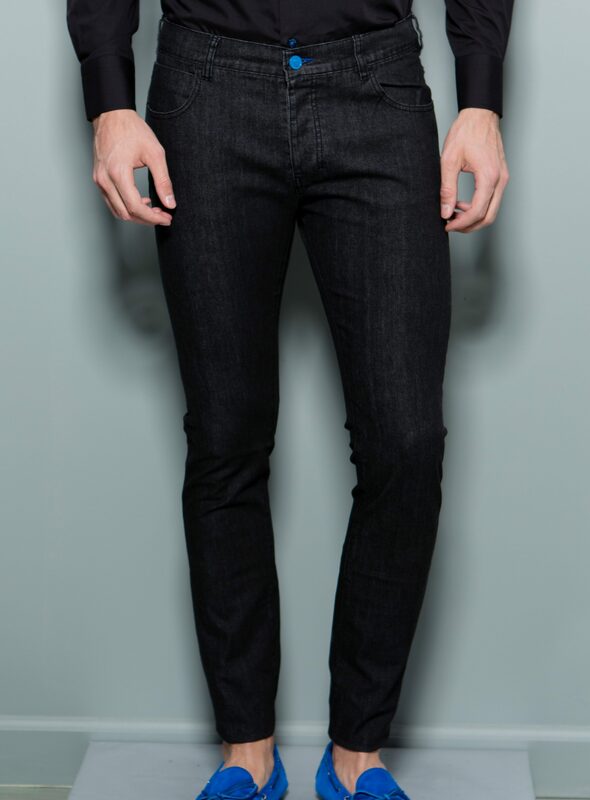 The stretch denim makes for an extremely comfortable wear. As details make the brand, noteworthy subtleties include the royal blue front buttons, royal blue inseam, and royal blue inner waist band. 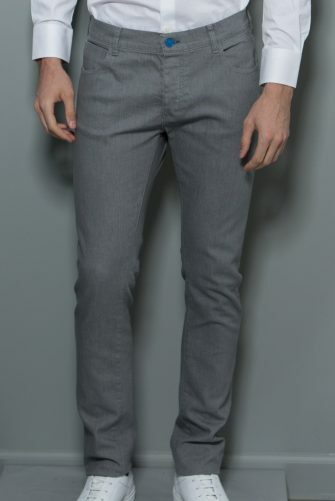 Wear with sneakers, loafers, wingtips, or even pattern leather shoes. Designed with a length that allows for a wide variety of styling finish.